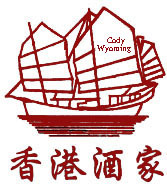 Thank you for interest in Cody Hong Kong Restaurants website. Terms and Conditions - The following terminology applies to these Terms and Conditions, Privacy Statement, and Disclaimer Notices, and any or all Agreements: "Client", "You", and "Your" refers to you, the person accessing this website and accepting the Company's terms and conditions. "the Company", "Ourselves, "We, "Us", and "CHKR" refers to our Company. "Parties", or "Us", refers to both Client and ourselves, or either the Client or ourselves. CHKR may provide links to web pages which are not part of the CHKR website or domain. These sites are not under CHKR control, and CHKR is not responsible for the information or links you may find there. CHKR is providing these links only as a convenience. The presence of these links on any CHKR website is not intended to imply CHKR endorsement of that site, but to provide a convenient link to relevant sites which are managed by other organizations, companies, or individuals. Rejection/Removal of Ads. - Cody Hong Kong Restaurant (CHKR) may in its sole discretion, reject or remove any Advert or Link at any time, with or without notice, , which (a) violates this Agreement, the content restrictions or any other provision of the CHKR Guidelines or (b) which CHKR otherwise determines to be inappropriate for any reason in its sole discretion, whether or not such Advert or Link was previously accepted. CHKR reserves the right to refuse any request to display Adverts or Links for any reason. Reservation of Rights. - As between CHKR and you, you retain all rights in and to your Ads (including all of your Trademarks and all other related intellectual property rights embodied therein), and, upon the termination of this Agreement, all rights granted to CHKR hereunder with respect to such Ads will cease, except as otherwise provided herein. You will not use, reproduce or display any Trademarks of CHKR in any manner without CHKR prior written consent.